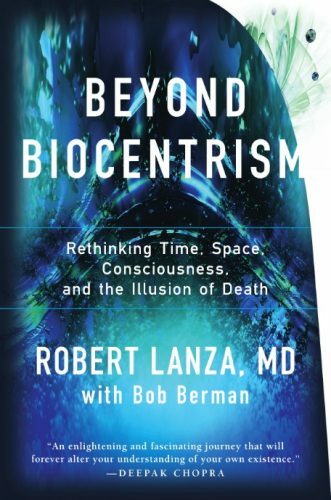 Beyond Biocentrism: Rethinking Time, Space, Consciousness, and the Illusion of Death by Robert Lanza, M.D. Beyond Biocentrism explains how life creates reality. Acclaimed biologist Robert Lanza, one of TIME Magazine’s "100 Most Influential People in 2014," and leading astronomer Bob Berman, take the reader on an intellectual thrill-ride as they re-examine everything we thought we knew about life, death, the universe, and the nature of reality itself. This paradigm-shifting book provides a compelling argument for consciousness as the basis of the universe. Biocentrism builds on quantum theory by … [Read more...] about Beyond Biocentrism: Rethinking Time, Space, Consciousness, and the Illusion of Death by Robert Lanza, M.D.